Brook Town Training - For Sale or LeasePeek-A-Blue is available for lease. Pixie is 13.1 1/4 hand and 19 years old, best suited for a walk trot show ready riderthrough 2'3". Perfect Short Stirrup/Children's Pony type. She has a long show record in Walk Trot through Pony Finals.$10,000 per yearAvailable for lease - Serendippity is a 14.2 hand older mare. 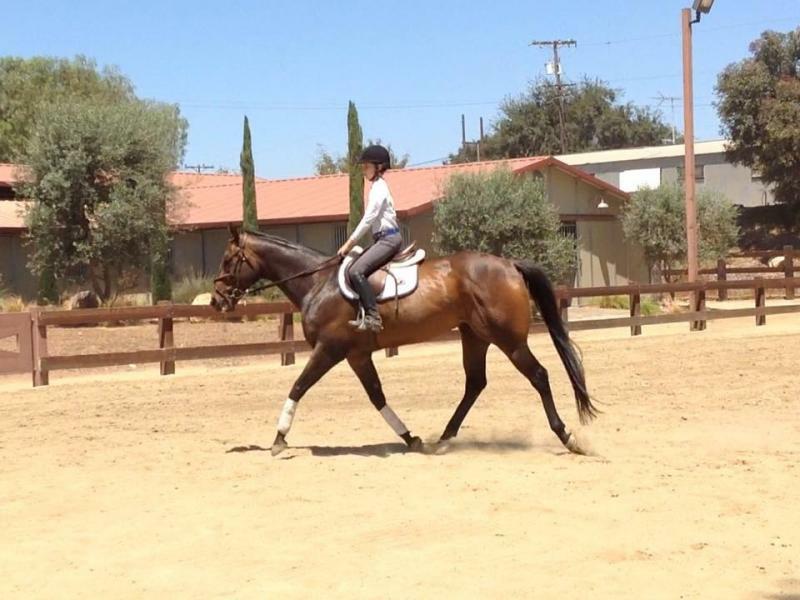 She is perfect for a young rider looking to have a safe mount for thewalk trot and crossrails. She has auto changes and is very safe. No spook and require no prep at a show. Goes down the trail onthe buckle. $1500 per 6 months in a training program A Hoof and A Prayer SOLD - 14.2 hand gelding who is the ideal been there, done that pony! Happy is such a saint! So simple and kind to ride! Perfect walk trot through short stirrup pony. 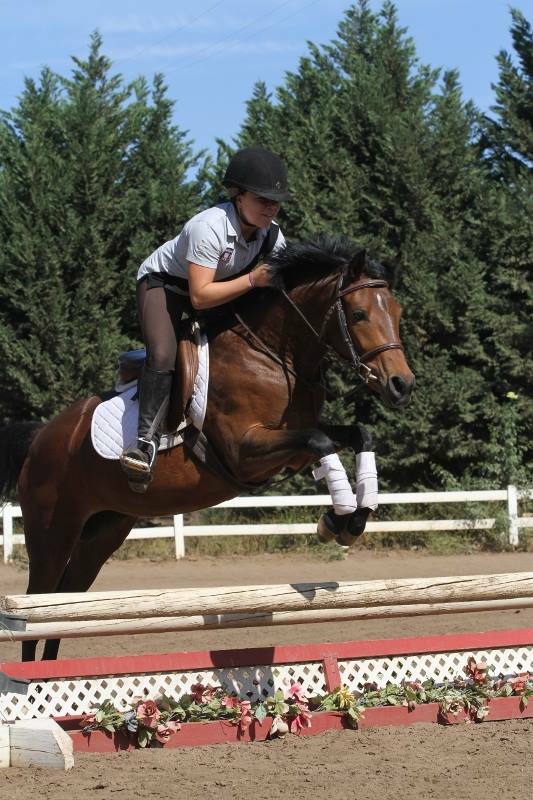 Prince Caspian LEASED - 13.1 hand gelding, super solid pony! Has done it all! Knows his job, always jumps and has absolutely auto changes. Very safe! Willow's Bally Kiss Angel SOLD - Bella is a registered Connemara mare, she stands 14 hands and is 9 years old. Perfect crossrail through 2'6" pony. Very safe, has her changes and is wonderful to be around. Jimmy Cricket SOLD - Buckle is THE cutest babysitter out there! Perfect for the little ones to ride in the round pen or ready to go show in the crossrailsor short stirrup! 12.1 hands and 13 years old. Compelling SOLD - 2015 Registered Oldenburg Gelding, premium foal and champion colt at his site inspection. 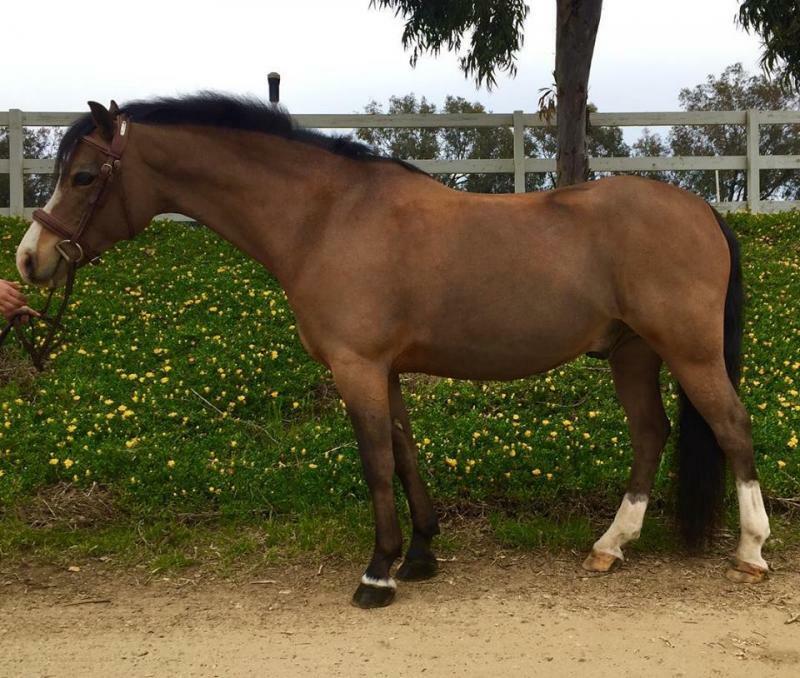 Tons of suspension, your next hunter!Cunningham x Pik's Pride Felix SOLD - 16.1 hand 8 year old appendix gelding. Very quiet ride with a bit of show experience, started over fences and ready for a job. 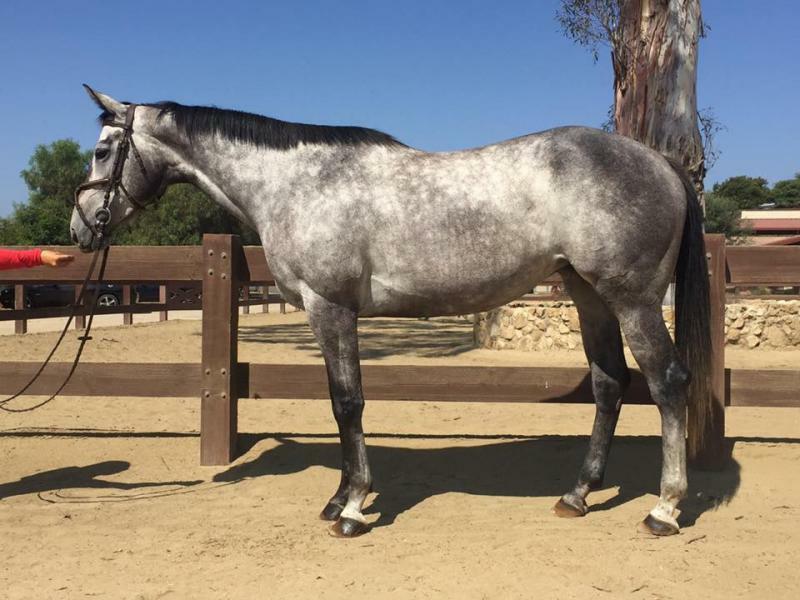 Alaska Rose SOLD - 16 hand 5 year old TB mare, grew too tall for polo and looking for her next career. Lightly started over fences. Holiday SOLD - 14.2 hand 15 year old German Riding Pony gelding. 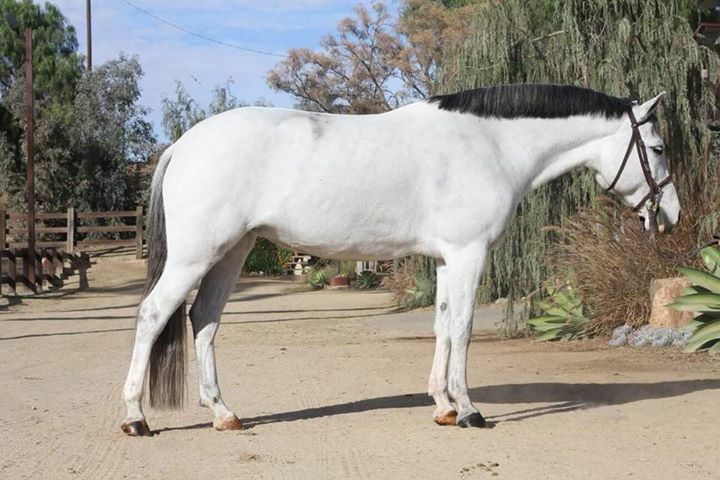 This flashy guy has experience in the jumper ring but could also really shine as a safe and quiet dressage mount. Great all aroung pony for the whole family to enjoy. 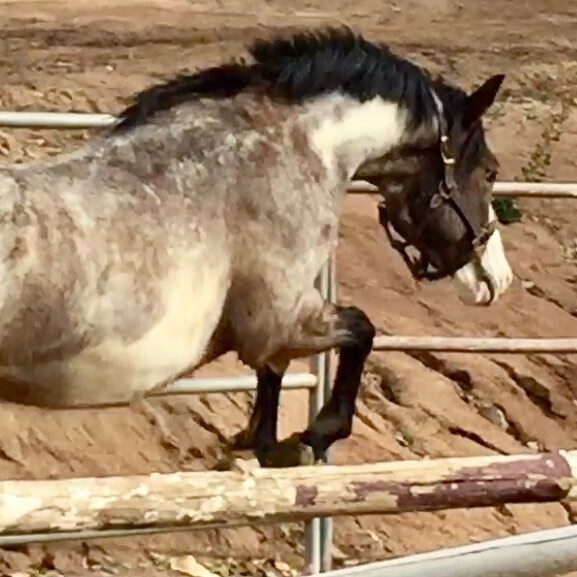 Jimmy SOLD - Coming 2 year old bay roan Welsh/Paint colt. Should mature to 14 hands. Lightening Bug SOLD - 14.1 hand 17 year old gelding ready to teach his next kid! Crossrails through 2'6". Such a cool pony! Rosie LEASED - Looking for a best friend. No lesson programs of any kind. Quiet ride, jumps 2'3" and goes down the trail. Good with traffic. Does not want to be a lesson pony any more. Looking for a low key life with one person. Available for feed lease. 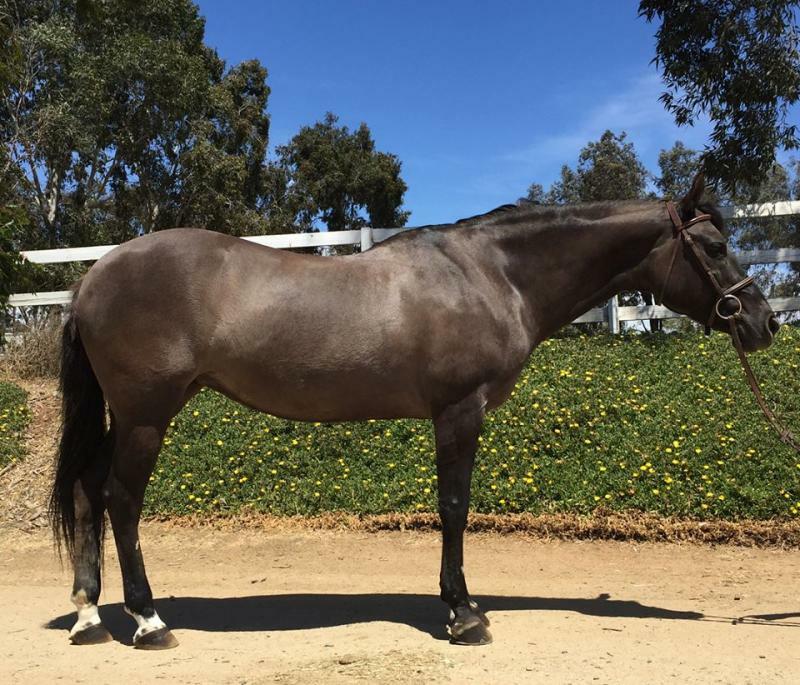 Just Add Sprinkles SOLD - Sprinkles is a 13.2 hand 7 year old Welsh/TB mare. Darling mover and loves the kids! Perfect pony for crossrails through ponyhunters. Needs finishing on her changes, grab her now before we finish her changes. 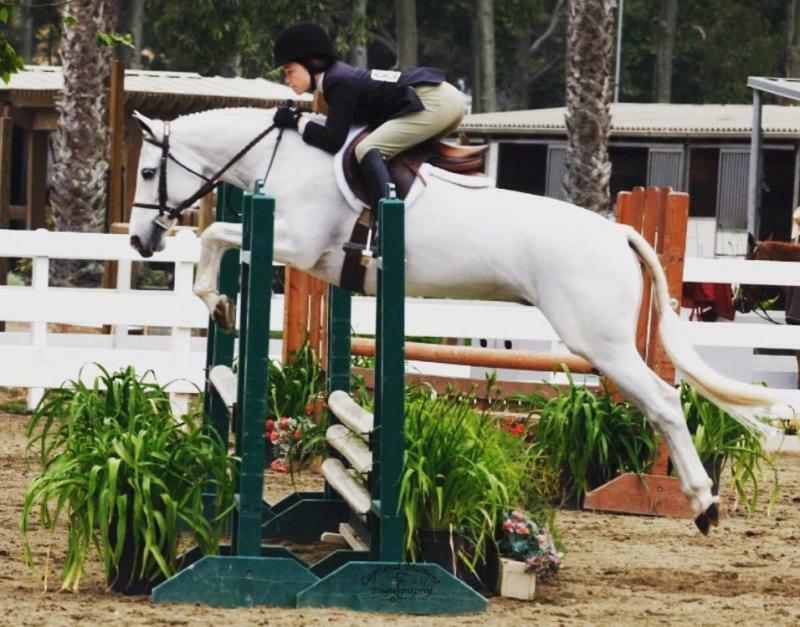 Show miles in crossrails and short stirrup with tons of success. Stanley SOLD - Jockey Club Registered as Rident, 16.1 hand 7 year old TB gelding. Quiet and kind, super personality. 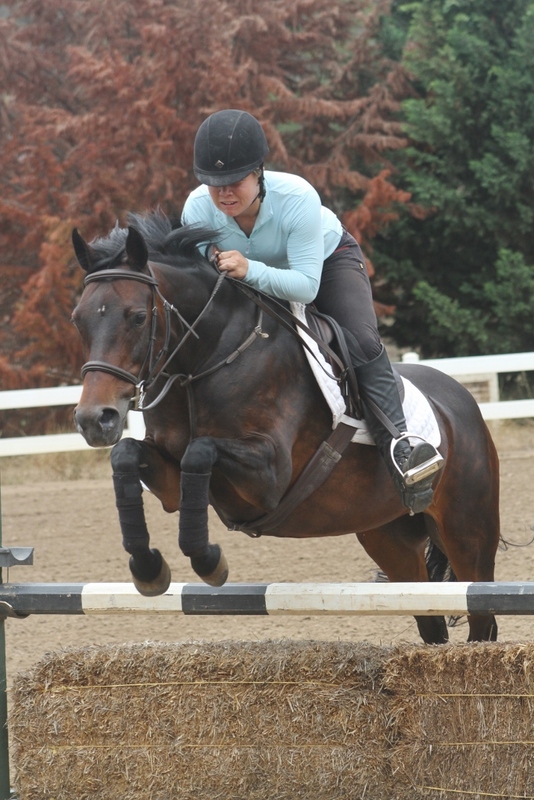 Started over fences and always jumps.Great mind, not spooky. Looking for his person to go in any direction. Nice mover. Twinkle Twinkle I'm A Star SOLD - !2.2 hand 15 year old mare. 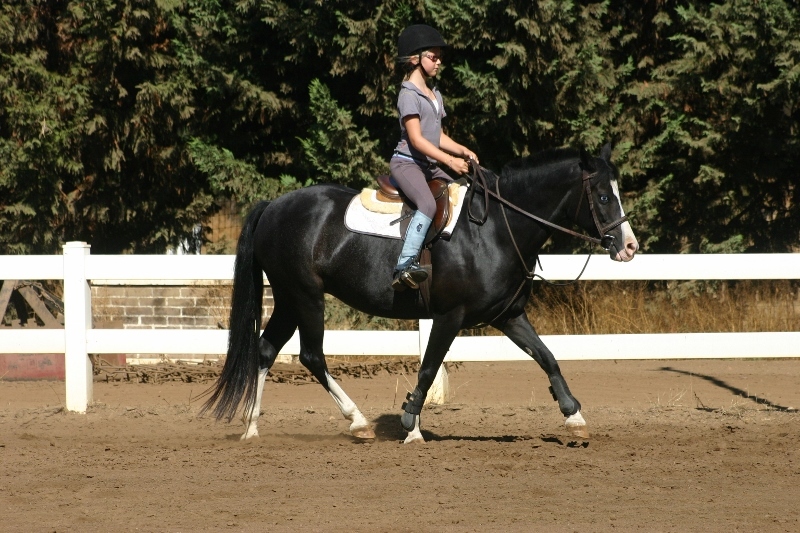 Perfect walk trot and crossrails pony. Been one of our lesson ponies. 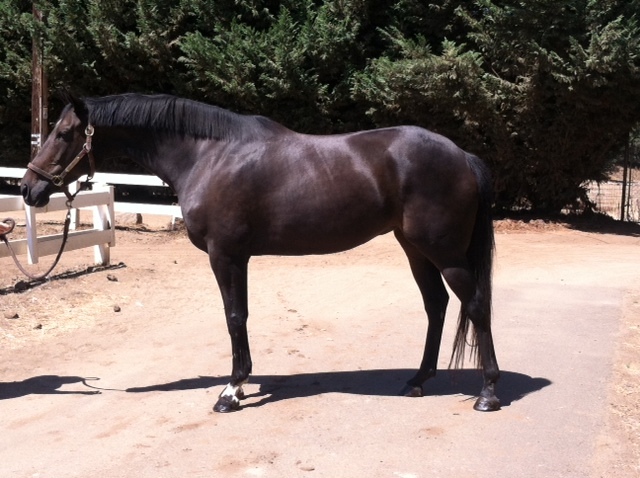 Only sellingdue to down sizing.Prince Charming SOLD- 14.2 hand 13 year old gelding. Shown in Pony Jumpers, Eventing and Dressage. Not a hot pony! Jumps anything! 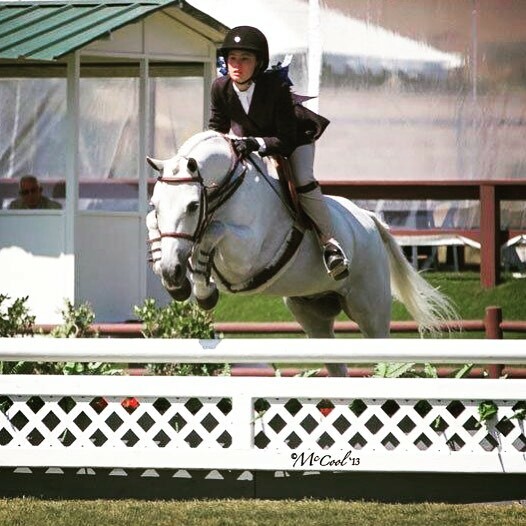 Really fun pony that is perfect for taking a rider through the levels.Sophia Lauren SOLD- 14.1 hand 12 year old Welsh/TB Mare. Beautiful mover with an equally great jump. Plenty of step and a good change. Very classy pony! Not spooy, safe for the little ones. Stetson SOLD - 14.2 hand 14 year old Paint Gelding. SAFE SAFE SAFE! If you are looking for a babysitter, then you have found him! Very kind to the little ones. Great teacher at the canter. Can also jump around at 2'6"! Azure's Standing Ovation SOLD - Been there, done that 14 year old Medium Pony Gelding. Plenty of show miles at the county and A level. Perfect pony to take your child through the levels. Safe and honest, always jumps and easy changes. No problem getting down the lines. Pink Champagne - SOLD 13.1 hand 14 year old mare. Very sweet and kind pony! Gives a great lunge line lesson and jumps around in great form. A perfect pony for Crossrail/Short Stirrup rider! 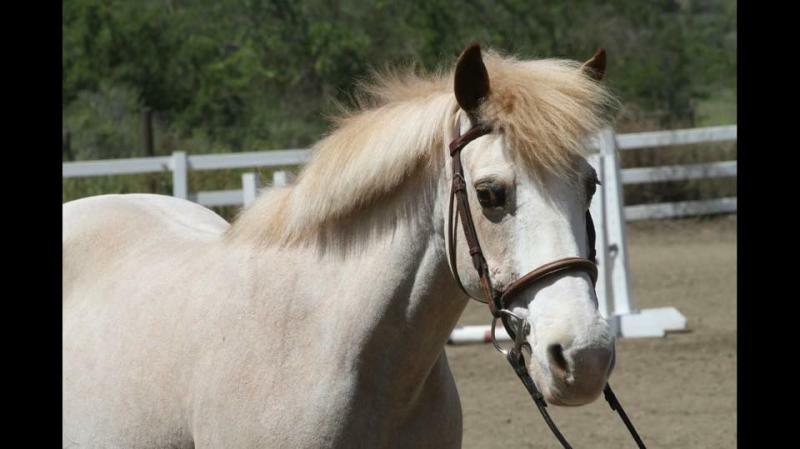 Jubilee SOLD- Jubi is just about the cutest, sweetest little pony you have ever seen! She is 12.1 hands and 7 years old. Takes kicking to go and has experience with young kids. She would look great with a big bow standing under a Christmas tree! She is started over crossrails as well! 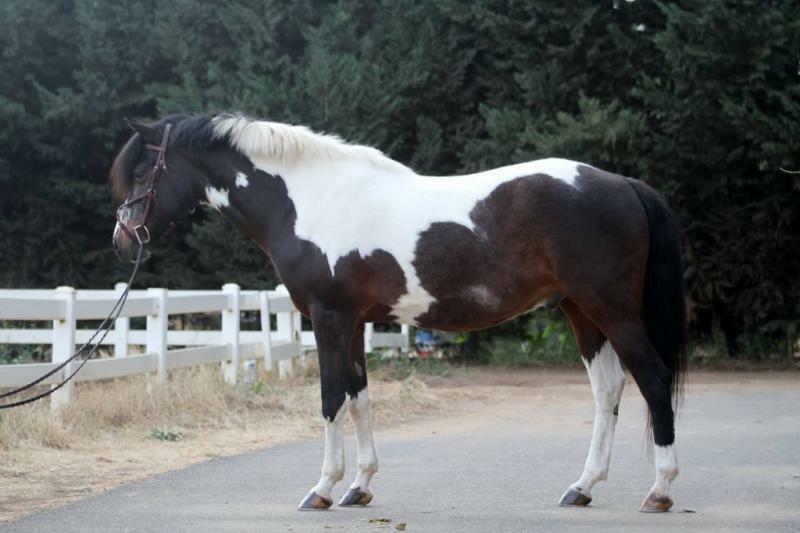 Call Me Classy SOLD- Aria is a 5 year old Registered Half Welsh Large Mare. Still green but unlimited potential, grab her before her price starts climbing. Show miles in 2' hunters. Started on changes. It's All About Stella SOLD - 13.2 hand 10 year old Welsh/Quarter Mare. Has had one beautiful foal. Show experience in Walk Trot through Pony Hunters. Quiet and a good mover. She even goes down the trail. Wendlandt's Custom Image SOLD - Sierra is the ultimate been there done that pony. She is 13 hands and 12 years old. She is registered half welsh. 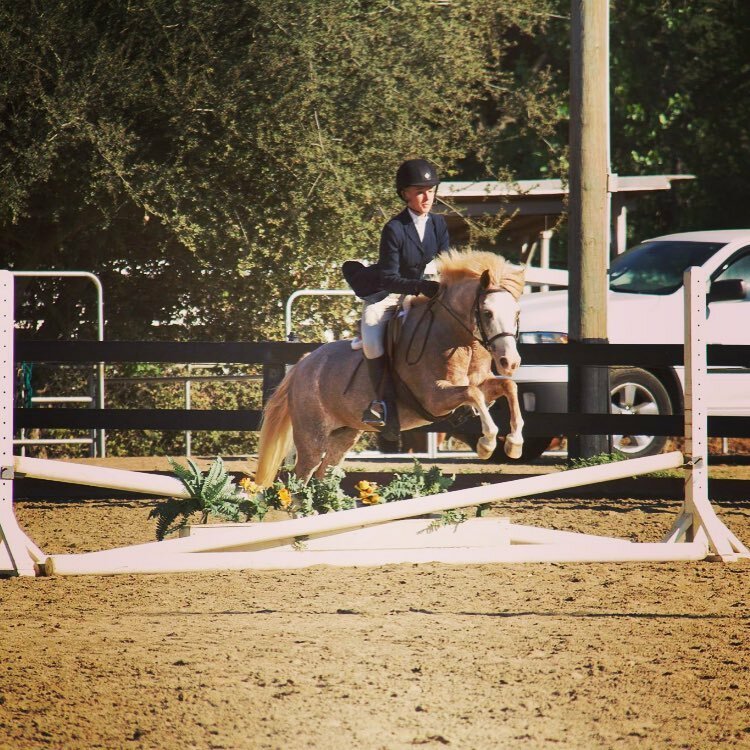 Cute mover, fabulous jump and safe! Great for kids to learn on, a barn favorite! 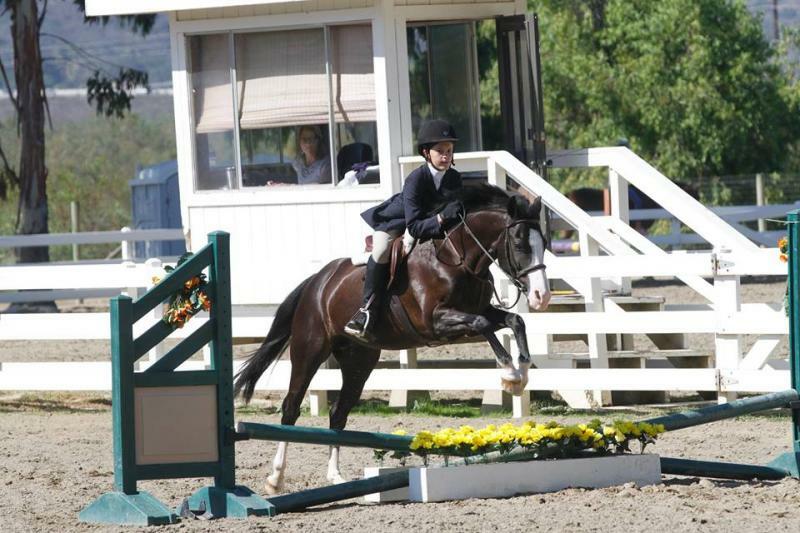 Annie SOLD- Darling 14.1 hand 20 year old Quarter Pony Mare. Annie has been a lesson pony for a long time and is looking for her forever home. Great on the lunge line and for kids to learn on. High Sunshine SOLD - Sunny is a very attractive 16.2 hand 7 year old TB Mare. 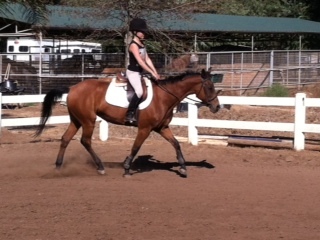 Warmblood looks and movement. She has had a few months of arena work after retiring from the track sound. She is ready for a new career! Lightly started over crossrails. through 2'3". Perfect Short Stirrup/Children's Pony type. She has a long show record in Walk Trot through Pony Finals. A Hoof and A Prayer SOLD - 14.2 hand gelding who is the ideal been there, done that pony! Happy is such a saint! So simple and kind to ride! Perfect walk trot through short stirrup pony. 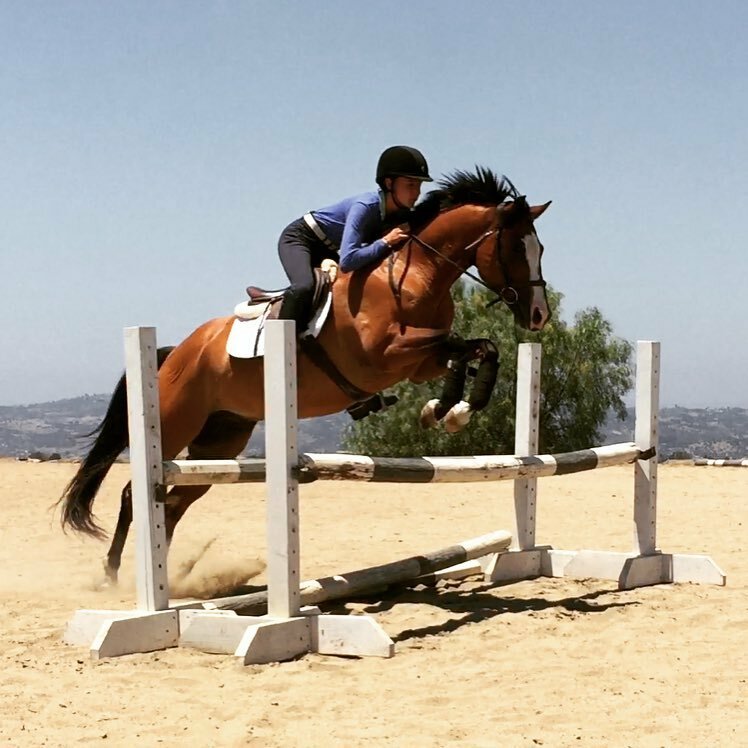 Prince Caspian LEASED - 13.1 hand gelding, super solid pony! Has done it all! Knows his job, always jumps and has absolutely auto changes. Very safe! Willow's Bally Kiss Angel SOLD - Bella is a registered Connemara mare, she stands 14 hands and is 9 years old. Perfect crossrail through 2'6" pony. Very safe, has her changes and is wonderful to be around. or short stirrup! 12.1 hands and 13 years old. Compelling SOLD - 2015 Registered Oldenburg Gelding, premium foal and champion colt at his site inspection. Tons of suspension, your next hunter! Felix SOLD - 16.1 hand 8 year old appendix gelding. Very quiet ride with a bit of show experience, started over fences and ready for a job. 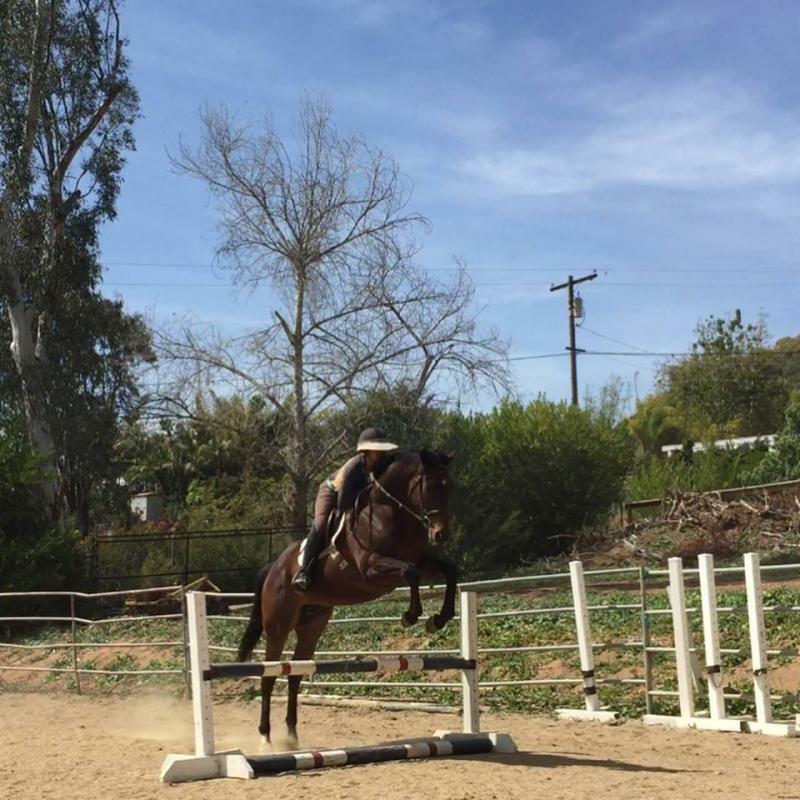 Alaska Rose SOLD - 16 hand 5 year old TB mare, grew too tall for polo and looking for her next career. Lightly started over fences. Holiday SOLD - 14.2 hand 15 year old German Riding Pony gelding. This flashy guy has experience in the jumper ring but could also really shine as a safe and quiet dressage mount. Great all aroung pony for the whole family to enjoy. Jimmy SOLD - Coming 2 year old bay roan Welsh/Paint colt. Should mature to 14 hands. Lightening Bug SOLD - 14.1 hand 17 year old gelding ready to teach his next kid! Crossrails through 2'6". Such a cool pony! Rosie LEASED - Looking for a best friend. No lesson programs of any kind. Quiet ride, jumps 2'3" and goes down the trail. Good with traffic. Does not want to be a lesson pony any more. Looking for a low key life with one person. Available for feed lease. hunters. Needs finishing on her changes, grab her now before we finish her changes. 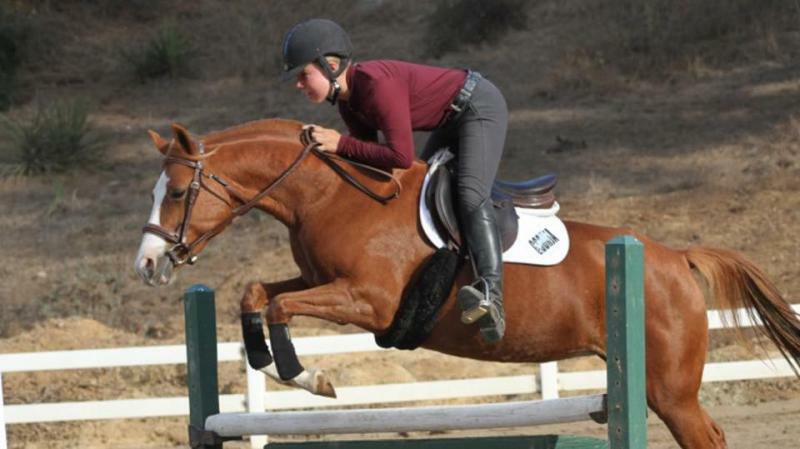 Show miles in crossrails and short stirrup with tons of success. Stanley SOLD - Jockey Club Registered as Rident, 16.1 hand 7 year old TB gelding. Quiet and kind, super personality. 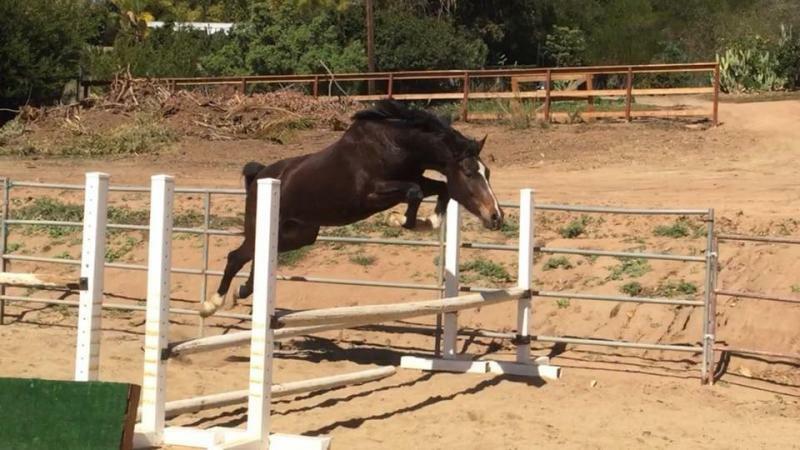 Started over fences and always jumps. Great mind, not spooky. Looking for his person to go in any direction. Nice mover. Prince Charming SOLD- 14.2 hand 13 year old gelding. Shown in Pony Jumpers, Eventing and Dressage. Not a hot pony! Jumps anything! 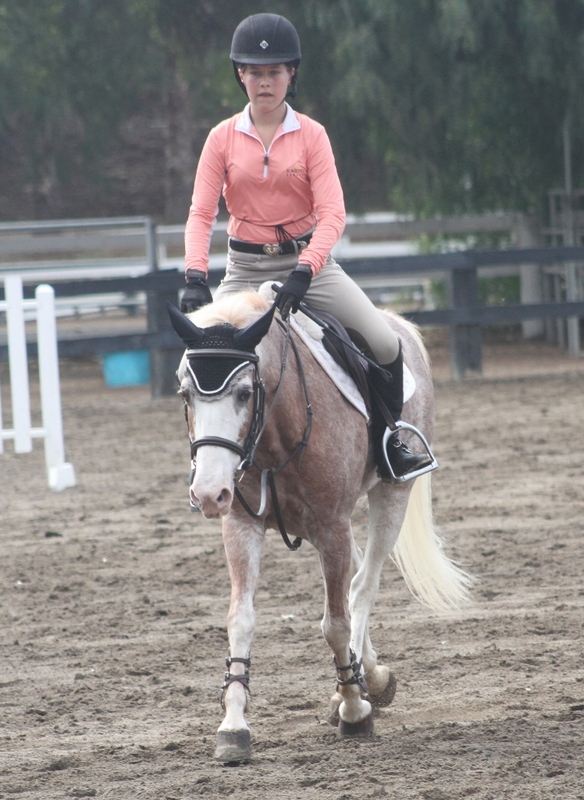 Really fun pony that is perfect for taking a rider through the levels. Sophia Lauren SOLD- 14.1 hand 12 year old Welsh/TB Mare. Beautiful mover with an equally great jump. Plenty of step and a good change. Very classy pony! Not spooy, safe for the little ones. Stetson SOLD - 14.2 hand 14 year old Paint Gelding. SAFE SAFE SAFE! If you are looking for a babysitter, then you have found him! Very kind to the little ones. Great teacher at the canter. Can also jump around at 2'6"! Azure's Standing Ovation SOLD - Been there, done that 14 year old Medium Pony Gelding. Plenty of show miles at the county and A level. Perfect pony to take your child through the levels. Safe and honest, always jumps and easy changes. No problem getting down the lines. Pink Champagne - SOLD 13.1 hand 14 year old mare. Very sweet and kind pony! Gives a great lunge line lesson and jumps around in great form. A perfect pony for Crossrail/Short Stirrup rider! Jubilee SOLD- Jubi is just about the cutest, sweetest little pony you have ever seen! She is 12.1 hands and 7 years old. Takes kicking to go and has experience with young kids. She would look great with a big bow standing under a Christmas tree! She is started over crossrails as well! 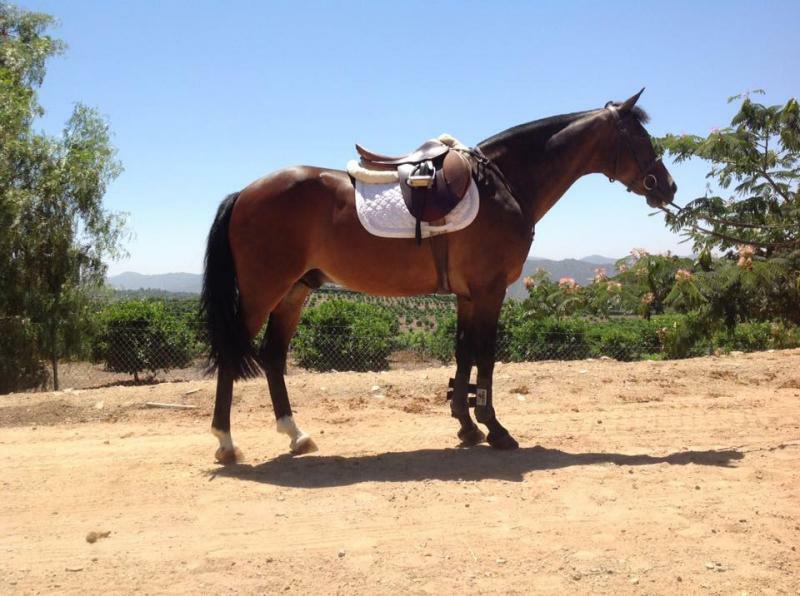 Call Me Classy SOLD- Aria is a 5 year old Registered Half Welsh Large Mare. Still green but unlimited potential, grab her before her price starts climbing. Show miles in 2' hunters. Started on changes. It's All About Stella SOLD - 13.2 hand 10 year old Welsh/Quarter Mare. Has had one beautiful foal. Show experience in Walk Trot through Pony Hunters. Quiet and a good mover. She even goes down the trail. Wendlandt's Custom Image SOLD - Sierra is the ultimate been there done that pony. She is 13 hands and 12 years old. She is registered half welsh. 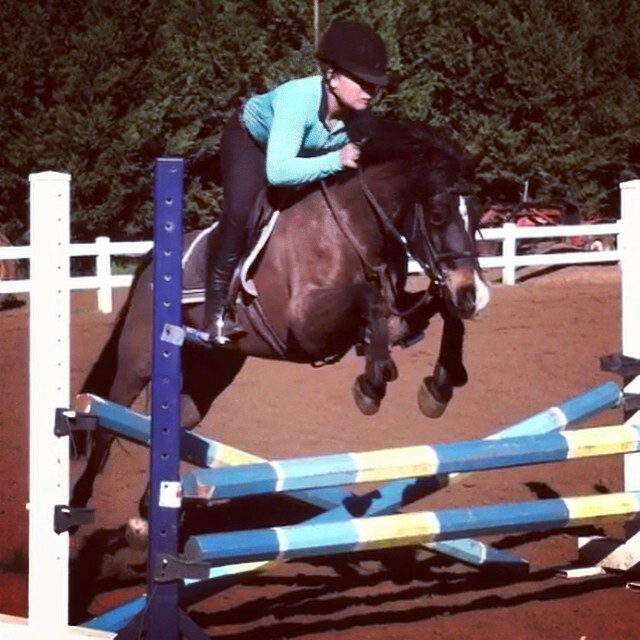 Cute mover, fabulous jump and safe! Great for kids to learn on, a barn favorite! 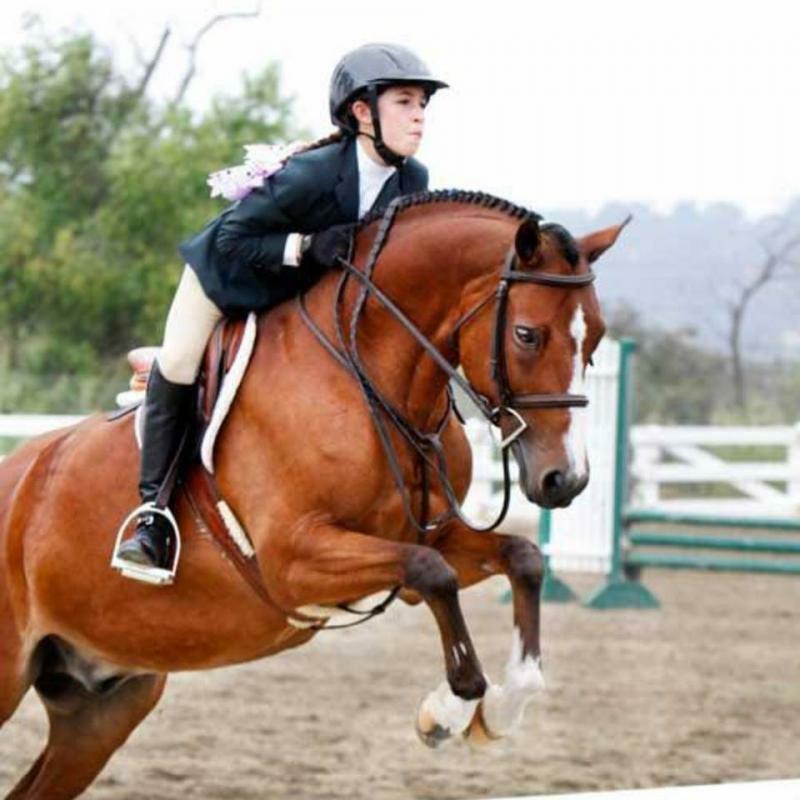 Annie SOLD- Darling 14.1 hand 20 year old Quarter Pony Mare. 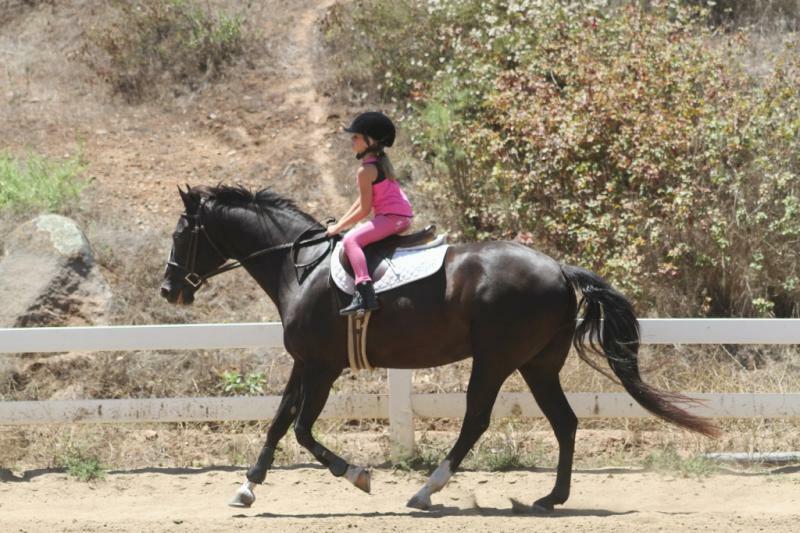 Annie has been a lesson pony for a long time and is looking for her forever home. Great on the lunge line and for kids to learn on. High Sunshine SOLD - Sunny is a very attractive 16.2 hand 7 year old TB Mare. Warmblood looks and movement. She has had a few months of arena work after retiring from the track sound. She is ready for a new career! Lightly started over crossrails. If you don't see what you are looking for, send us an email, we may have more horses and ponies not yet listed.